Had she stuck around for the rest, she would’ve noticed ministry happening. But it didn’t sound positive, so it got passed up. The preoccupation with positive confessions is a byproduct of the Word of Faith doctrine, which since its 1980’s prominence has come under fire. I’d like to fire a couple rounds into it myself. I write about dirty stuff… ugly stuff. So I’ve run into more than one Christian who wasn’t thrilled with my perspective. One friend was sweet enough to confess, “I love your heart, but that’s not the kind of stuff I prefer to read.” And that’s quite okay. But if taken too far, it has consequences. The reality is: if you preach that Christ loves and has a plan for everyone, you have to realize a plan for them starts where they are, not where you are. You may need to step down to their level. The Holy Spirit has been known to meet people in the most unlikely places. While high on cocaine. Having just left a rendezvous with a paramour. Maybe while still wrapped around said paramour. God isn’t afraid to walk into dark places. I wish his children were more like him that way. Some Christians avoid me because I don’t talk the talk. “You gotta quote God’s Word.” “Put the Word on it!” Ulgh. Who has time to audition for the role of Guy Most Likely To Get Blessed #3? I‘m busy seeking my actual blessing. That requires me to assess where I actually am and what is actually going on. How uncompassionate! That’s right up there with “They have no bread? 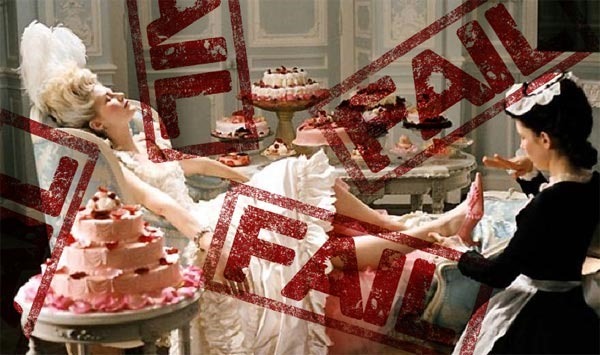 Let them eat cake.” There is a sense of entitlement and elitism that separates believers into classes of those who are victorious and those who aren’t. Some issues aren’t easily solved or smiled through. If I’m confused, frustrated, and unhappy, but I tell you “by faith I’m confidently assured, at peace, and walking in joy,” I could be implementing God’s word… but I’m probably just in denial. A faith confession that only serves to fool me and alienate you is more commonly called a lie. Positive affirmations have their place in faith. But before you can say what it will be, you have to acknowledge what it is. People fear this reinforces the negative, but if you’re lost and you don’t say where you are, no one can help you. That’s like a kidnapping victim seeing someone who could rescue them or call the authorities, but they don’t cry out. I don’t know what you do, but listen… I cry. The more I shout, the more some Christians turn their faces away from me. I find this odd. Jesus would have stopped. Thanks so much, my friend. Miss you, man! We all need to hang out again soon. This right here though! Always, relevant, transparent, and real…gifted indeed. Absolutely LOVE this blog! I think that God is taken each one of His own and crafting them into what HE has called them to be and do. We all have a different ministry and assignment. Some people were born to be martyrs, some to encourage and some to make a difference in the life of a child. When God gives me visions, I’m amazed at what I see. I think sometimes I cannot fulfill them all even with Him working in me, but I also believe that many of the visions He shows me are the visions that belong to others, and maybe I’m the one to help them to remember to dream again, to get back up and move forward, or maybe they are something that will be passed on to future generations. I’ve learned that it doesn’t make any sense to judge others. My Pastor quoted a Christian writer the other day who said the reason why God chose Jesus to come through the back door is because if He came through the front door, it would have limited grace to only the privileged! So when I’m down, I know it’s because God wants me to better relate to others and to have compassion. Those who have yet to have compassion on others even in their sin haven’t learned this lesson, and when they have the Opportunity to go through a life experience where God brings them low and to a place of humility, they will understand…hopefully! I don’t think it happens for everyone, but God knows what He is doing in each and every human created…His creation, made in His image. This ain’t right because you ain’t mention nothing ’bout tithing to get your blessing. We ain’t bless because we don tithe. Well, considering a surgery that has a 50/50 change of recovery, I feel I have to weigh my options in prayer but before that happens, I need to say where I am. I guess some folks never feel lost. I guess. Must be nice. I think people are starting to notice that the old ways and traditions have their value, but need to be re-evaluated. I think people will start taking notice of where they are and coming up with better solutions. At least I hope so! This is exactly why my religion is Truth! God is a god of the living…and living ain’t all positive. And the teachings of Christianity ain’t all Truth. The principles of any religion should be used to judge and gadge self – not others – to get you on the prescribed path. Let the Truth, righteousness, and God in you determine your godliness. God is within, right? Hey Samadia, thank you for reading and commenting! I pray we all seek truth and we all find it. I think most people who consider themselves any part religious have at least a little interest in truth. We may not all be ready for it. But I’m sure it will be good for us. And we’ll know enough in good time. This is my hope!